Looking for a completely free and fully featured demo? See your evidence arranged your way, Work on Desktop, Laptop, Tablet or Mobile. There isn’t a device class you can’t use. 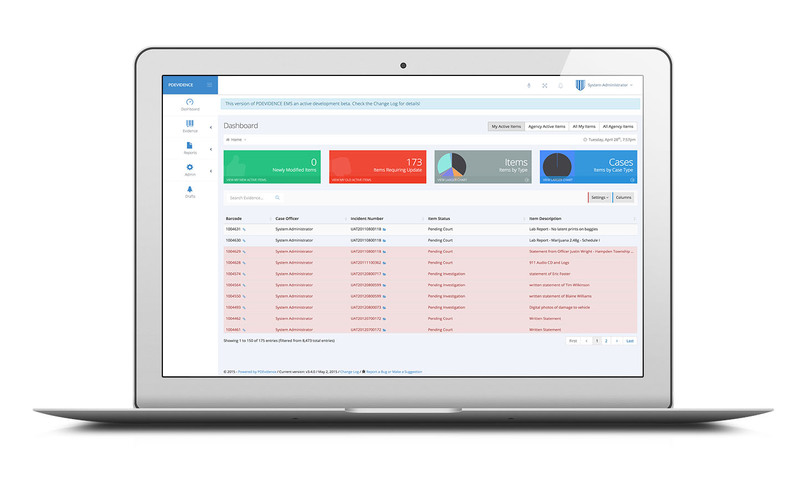 Never worry about backups or server maintenance again. 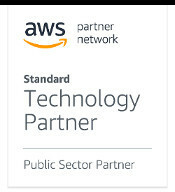 Securely stored on state of the art servers, PD Evidence partners with Amazon Web Services to provide the highest reliability. Full user control allows you to assign roles and privileges while maintaining and adding users is a breeze. Basic email and web support comes standard with all packages with options for 24/7 – 365 phone support. Data is encrypted in motion and at rest using the latest cryptography standards. Curious about CJIS compliance? We can help. PDEVIDENCE also uses two-factor authentication for greater login security. Speed and efficiency at its core, PDEVIDENCE EMS™ delivers performance and reliability. Built with accuracy and efficiency in mind. Little to no training is required with the PDEVIDENCE EMS™. Upload any of your media, whether it’s from a body worn camera, cruiser footage or crime scene photos, the PDEVIDENCE Evidence Management System™ can help you stay organized. Recorded a witness testimonial? Upload it as evidence with ease. You can view and play all multimedia in the browser with no need to download it, or download it for later use where an internet connection isn’t available. 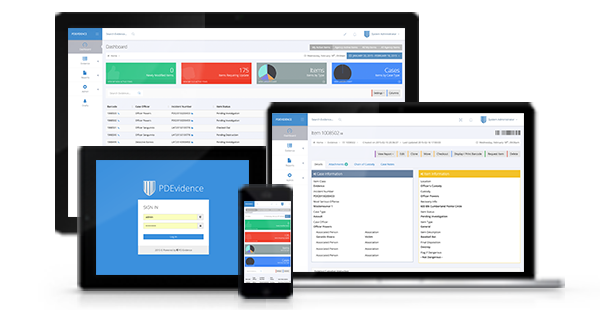 No matter the type of digital evidence, the PDEVIDENCE Evidence Management System™ can help. What could be better? How about some free stuff? Are you ready for the DEMO?